Turkey and dressing may take center stage but ahhhh, Thanksgiving vegetables -- welcome to the second annual collection of Thanksgiving vegetable recipes from A Veggie Venture! 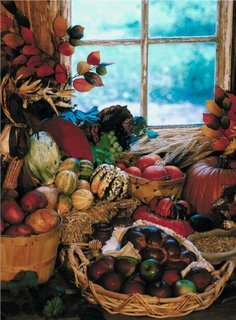 In the table above, the 'featured recipes' are ones published in 2006 and 2007 especially for Thanksgiving. 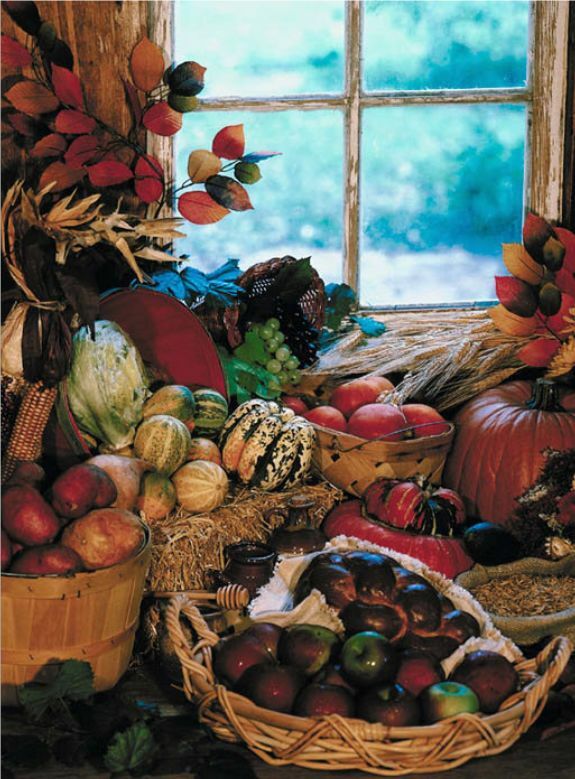 The 'more ideas' are favorite vegetable recipes that would also fit well with traditional Thanksgiving foods. Some recipes have been published in my food column Kitchen Parade, online at KitchenParade.com. Sign up for e-mail delivery of new recipes. It's automatic, it's free, it's inspiring! Wow - the winter squash polenta looks amazing! I love this -- a handy reference page for the menu planning to come. Thanks, Alanna! tradition has it...sour cream pumpkin pie for sure..lots of whipped cream and honey on top.